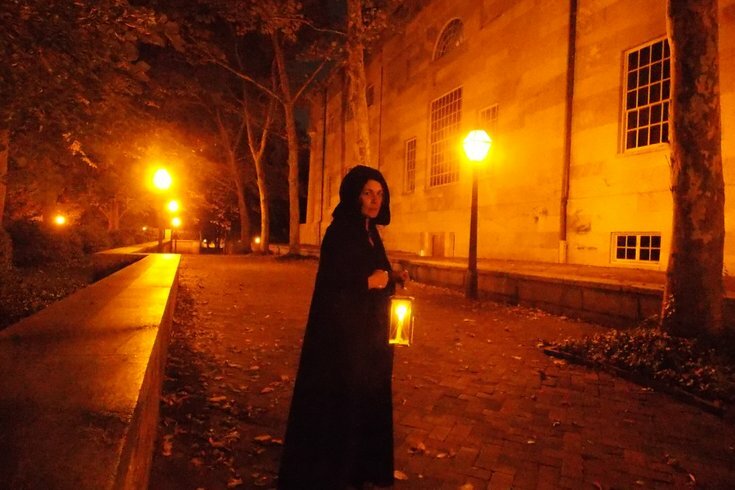 The Ghost Tour of Philadelphia will celebrate the 2016 Halloween season with an expanded schedule for the Candlelight Ghost Tour and Ghosts of the Mansion Tour. Plus the Ghost Tour of the Haunted USS Olympia will be offered this month. Areas explored during the tours are Old City, Society Hill and Penn’s Landing. The Candlelight Ghost Tour run every night in October at 7:30 p.m., with additional tours on the weekend at 9:30 p.m. The Ghosts of the Mansion Tour and Ghost Tour of the USS Olympia run weekends only. “We rely on ghost stories from Philly’s historic sites that have been passed down for generations, as well as the real experiences people have had in these sites," Eileen Reeser, tour manager, stated in a press release. "There won’t be anyone jumping out at you for a quick scare, but the eerie feeling you get when faced with the possibility of ghosts may linger for awhile." Ticket prices range from $10-$22 per person. Group rates, private tours and more information is available by calling (215) 413-1997. This tour, which has been around for 19 years, takes participants on a 90-minute walk through Old City and Society Hill. The costumed tour guide will share stories of hauntings, legends and poltergeist activities in the area, along the way. This 90-minute walking tour of Society Hill includes visits to the Strangers’ Burial Ground and other haunted hot spots; an introduction to ghost-hunting gadgets; and an indoor tour of the Powel House or the Physick House, colonial-era mansions long believed to be haunted. This special ghost tour takes place entirely on the historic ship Olympia, docked at Penn’s Landing. During the 90-minute tour, attendees will learn how the ship got its reputation for being haunted.